Greetings artists, hopefuls and friends of An Honest Lie. I have Recompiled a list of a number of our frequently asked questions in hopes that it helps you in deciphering the intricacies of the submittal process to our anthology and other questions you may have. Without further adieu, onwards to the questions. Q: So is this some kind of Contest? A: You are damn skippy it is. An Honest Lie is seeking the best writters it can find to not only fill it’s pages under a unique yearly theme, but also to find, promote and publish the favorite author from each anthology. 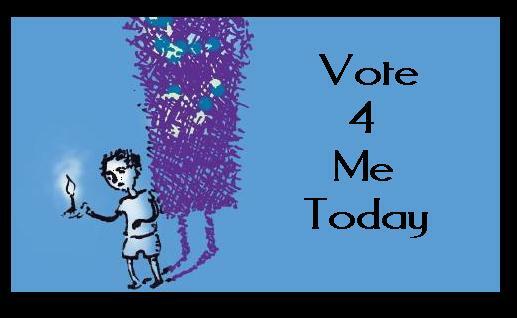 As a matter of fact VOTE for your favorite author from Volume two of “An Honest Lie” today. Q: Are there any requirements I need to have before you are willing to read my work? A: I wish we could say no, however there are a few requirements. First, you must be an adult. No one under the age of 18 will be considered for publication. There are many youth periodicals as well as publishing opportunities for the young people of America, and while neither Open Heart Publishing nor An Honest Lie have anything against the talents of young people, An Honest Lie is not the correct venue for the work of minors. Secondly, you have to send your manuscript in. To those who have sent us those fascinating query letters, gee they sound really neat and all but without your actual manuscript your story is still in the pitch phase. Write it first then we’ll read it and let you know if we liked it or not. Thirdly, patience is a virtue… we have a rather limited staff and are working tirelessly on giving every piece we read the same attention for each and every article we receive. We feel that our submitted authors deserve no less than this, a chance to be read. Our poor senior editor has already wore out 2 pairs of reading glasses and went through half a gross of red pencils while helping us fulfill our word. Q: So what kind of stories are you looking for? A: Think quirky, or funny, but most definitely marketable and something memorable. We definitely prefer material that is more PG-13 or R as opposed to NC-17 or even X rated. You don’t have to play by the rules, but we do feel that the story has to be accessible by a large market and will be of benefit to the author and our label. No it doesn’t have to have a happy ending, it doesn’t have to be traditional, but it does need to fit within the theme “ Delusions of Insignificance”. Our chosen theme is broad and vague on purpose, and we hope that it will create a unique amount of diversity among which to choose from. It has been amazing to see what creativity has been spawned from this simple idea. For a broader understanding of what we are looking for, try reading our masthead and letting your own interpretation of our anthology’s title guide your direction. These stories must be previously unpublished in any form (this includes web pages, blog posts, and online magazines), and they must meet the minimum and not exceed the maximum word count. If the story in question is being considered for publication by another publishing establishment, please inform us about this when you submit your piece for consideration. Q: Will there be mandatory public speaking engagements? A: There will be public reading engagements/events in conjunction with this publication and authors chosen to be published within the anthology have the option of attending these events. Attending these events will increase royalties earned from sales of anthology at attending events. These events are NOT mandatory, but they are highly encouraged. Q: So are there any hidden fees, like reading fees and author’s publishing fees, etc? Q: Is there any kind of work you will not accept? Poetry is a beautiful and lovely thing. It awes and inspires, it crawls into your soul and licks away with a gentle ferocity with her razor-sharp tongue. Poetry is a fickle little beasty for when she is beautiful she is amazing and when she is ugly she is far beyond sad. In other words, poetry is not the market we are trying to reach; there are many lovely poetry literary journals… however An Honest Lie is not one of them. Q: What is An Honest Lie? A: That depends upon who you ask. For Open Heart Publishing, An Honest Lie is a periodical that with be produced on a yearly basis with the goal of finding the most popular author from each volume of the anthology, and rewarding that individual with a publishing contract. Q: Do you have a physical mailing address? Or a number? Q: Who will hold the rights for my work? A: You will retain sole rights to your work, we in turn will buy first publishing rights. We retain right to republish all collections provided that original format is adhered to (reprint of volume one in entirety, etc). Q: Any advice for writers? Q: I’m an illustrator, I heard you need illustration submissions but I see no instructions on how I submit for consideration. What should I do? A: If you are an artist or an illustrator you may send us either directions to your website or attach a couple of examples of your work at ahlsubmissionsv2@yahoo.com. Q: Does it matter which email address I send a submission to? Can’t I just send it to any email address associated with Open Heart Publishing? A: All submissions must be sent to the currently listed email address in the call for submissions page. Submissions sent to the wrong email box will be deleted without review.